A child’s first first 1000 days since birth is critical for its survival, growth and intellectual development. 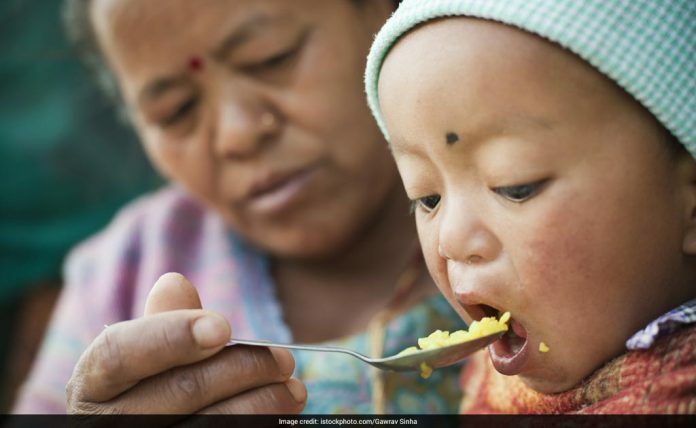 While the sustainable development goals (SDGs) aim to end all forms of hunger and malnutrition by 2030, making sure all people- especially children- have access to sufficient and nutritious food all year round, malnutrition continues to exist in a country like India despite economic growth and development. This only underscores the complexity of the problem as well as struggle to address it. This is despite an existing, detailed national nutrition policy and commitment demonstrated by different actors who are implementing programmes to address malnutrition. To eliminate malnutrition there needs to be an understanding that there is no one single solution for the problem. What should be taken into account is the vast experience and perspectives that have emerged out of decades of work in the area. Médecins Sans Frontières (MSF) recently started a malnutrition project in Chakdharpur in Jharkhand. In the past we had experience working in community-managed acute malnutrition (CMAM) project in Darbhanga district of Bihar from 2009 till 2015. A child’s first 1000 days since birth are critical for his/her survival, growth and intellectual development. This is also a period when the child can potentially suffer from problems like infections or diarrhoea or is underweight. During this period, breastfeeding practices play a vital role in preventing infections and ensuring child survival. Breast milk is the best source of nutrition and immunity for a newborn infant, especially during the first six months of its life. Breastfeeding practices vary across cultures. It is advised that newborns should be given to mothers immediately after delivery, and breastfeeding must be initiated within the first one hour of birth. However, due to varying cultural beliefs, the child might be kept apart from the mother for some duration, or fed pre-lacteal feeds such as sugar water, honey, mustard or just water to name a few, that can be detrimental. Breastfeeding is as much a natural behaviour as a well learned one. In such cases, mothers need active support, and counseling in understanding the importance of breastfeeding and in developing appropriate breastfeeding practices. What is required is not just awareness among mothers but also whole communities so that knowledge and practices of breastfeeding are encouraged and reinforced. It is crucial that programmes to treat malnourished children are not considered a solution that removes the need to take preventive strategies seriously. It should not be a choice between preventive strategies versus those that offer medical treatment. Malnutrition cannot be eliminated without adequate information, awareness and preventive measures. Collecting reliable data can help understand the prevalence of undernutrition. This would mean investing in obtaining appropriate data including regular nutrition surveillance at the district level. From MSF’s study in Darbhanga project, among the over 14,000 children (under five years old) treated, 87 per cent belonged to the poorest and the most marginalized castes and more than 60 per cent were found to be female thereby indicating a distinct social and gender slant in those suffering from malnutrition. This kind of nuanced information is of immense value for generating awareness, planning appropriate interventions and sharing information. Nutrition needs to be considered while devising policies for food security, agriculture as well as water and sanitation apart from just being addressed within health. This is important to address critical problems such as, what happens to severely malnourished children when after treatment they go back to the same environment of chronic food insecurity. Understanding the link between health, social welfare and community perception can play a valuable role in the success of malnutrition programmes. MSF’s experience in Darbhanga has taught us that communities are the most vital in implementation of malnutrition projects. Community health workers help us bridge language and cultural barriers with the community and make treatment more accessible. Empowering the community with information can reinforce the importance of addressing malnutrition and make them partners in successful implementation of programmes. While malnutrition is a national problem, it is critical to engage with community resources and knowledge at the most grassroots level. The Integrated Child Development Services (ICDS) system is like the central nervous system of all nutrition programmes and strategies. The ICDS, which comes under the Ministry of Women and Child Health, cannot singularly be tasked with this burden of reducing malnutrition since it is overburdened, underfinanced and poorly managed. What is important is to invest in nutrition as a priority, by allocating resources or providing institutional mechanisms to combat the problem of malnutrition. The national nutrition mission was framed in 1993, followed by more guidelines and specific policies. There is a need to review these policies in today’s context and developments, while at the same time holding the government accountable to the implementation and political commitments around nutrition financing and governance. Malnutrition cannot be eliminated in a country like India without political will. The conversation around malnutrition needs to be framed in the language of basic human rights and access to healthcare, with the government taking the lead. – Jointly written by Kavitha Devadas, PR and Advocacy Manager at MSF, Dr Sakib Burza, Medical Advisor at MSF Asia and Dr Rajib Dasgupta, professor and chairperson, Centre of Social Medicine and Community Health, Jawaharlal Nehru University in Delhi.